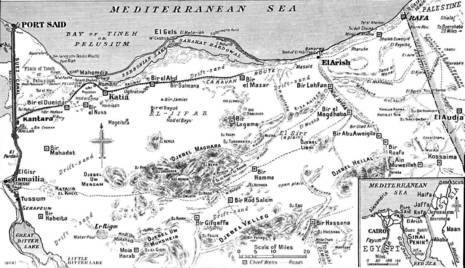 The Battle of Romani took place near the Egyptian town of Romani which lies 23 miles (37 km) east of the Suez Canal near the Mediterranean shore of the Sinai peninsula. On the night of August 3, 1916, an Ottoman army, under the command of Friedrich Freiherr Kress von Kressenstein, attacked the British Empire defences at Romani. The fort at Romani was strategic as it controlled the northern approach to the Suez canal. 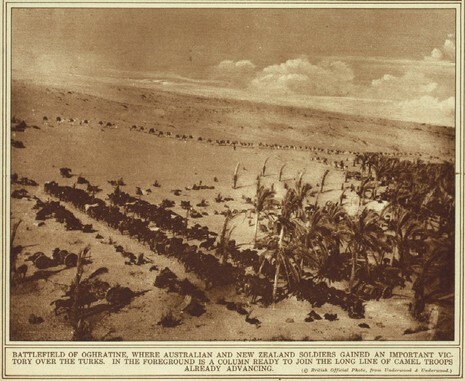 After a night and day of fighting, the Ottoman assault was defeated and thereafter the Allies were on the offensive, pushing the Ottoman army back across the Sinai. More than a year passed when the Turks tried a second attack on the Suez. 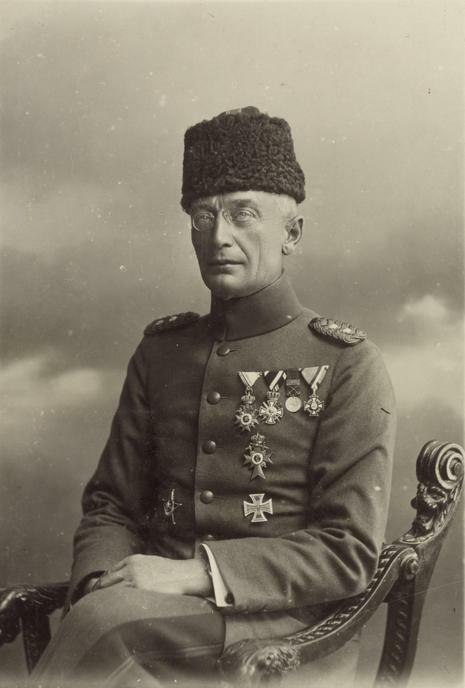 With Djemal Pasha directing affairs from his base in Damascus, Kreß von Kressenstein led a larger Ottoman army across the Sinai desert, again. This attack ran into a strong British defensive fortification at Romani, some 40 kilometers east of the canal. The Ottoman army prepared a major set-piece assault on Romani, scheduled for August 3, 1916 (see the Battle of Romani for a detailed description). The attack was beaten off and again the Turks retreated back to their bases in Palestine.